Ever since I stopped eating meat, I’ve always adopted this dichotomy in my eating habits, in which I eat vegan when I’m cooking for myself at home but I allow myself to only stick to a vegetarian diet when I go out to eat. This is largely done because sometimes it’s just way too difficult to find food that’s vegan at a restaurant that isn’t a house salad with balsamic dressing. However, when I can find a place that serves vegan food that’s tasty and filling, I’m all for it. 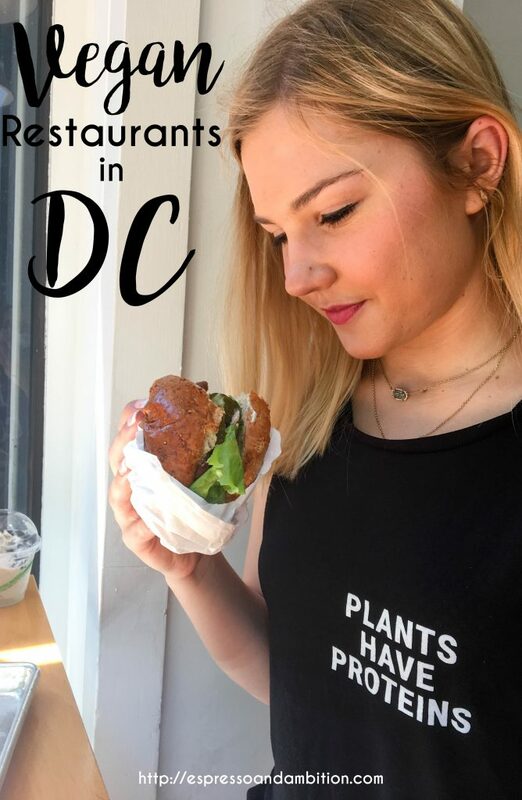 So today, I’m rounding up some of the best vegan restaurants I’ve found in DC. 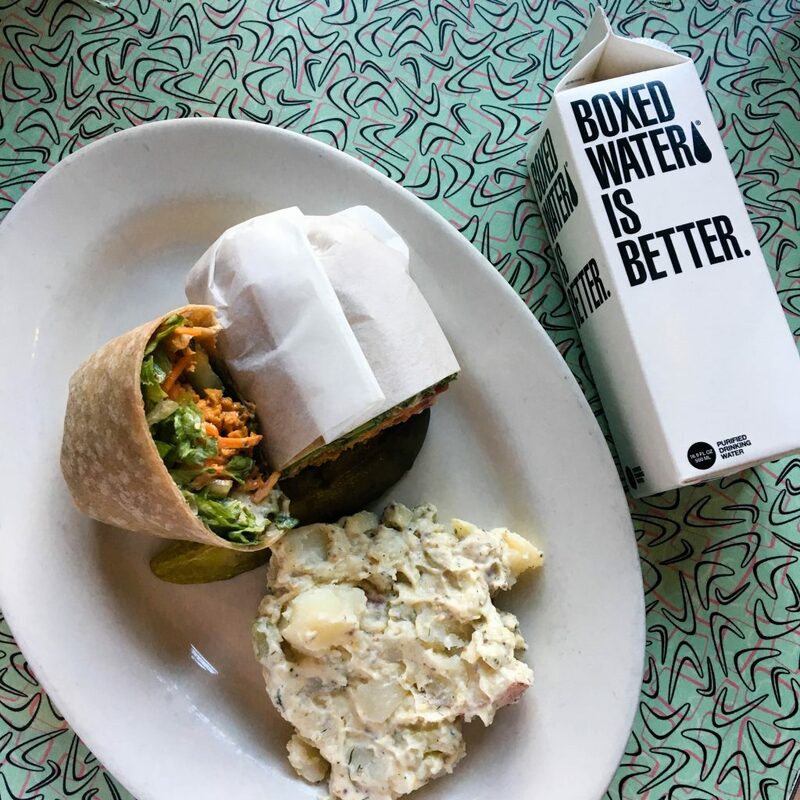 Technically this place isn’t strictly vegan, but they have a ton of vegan-friendly options. 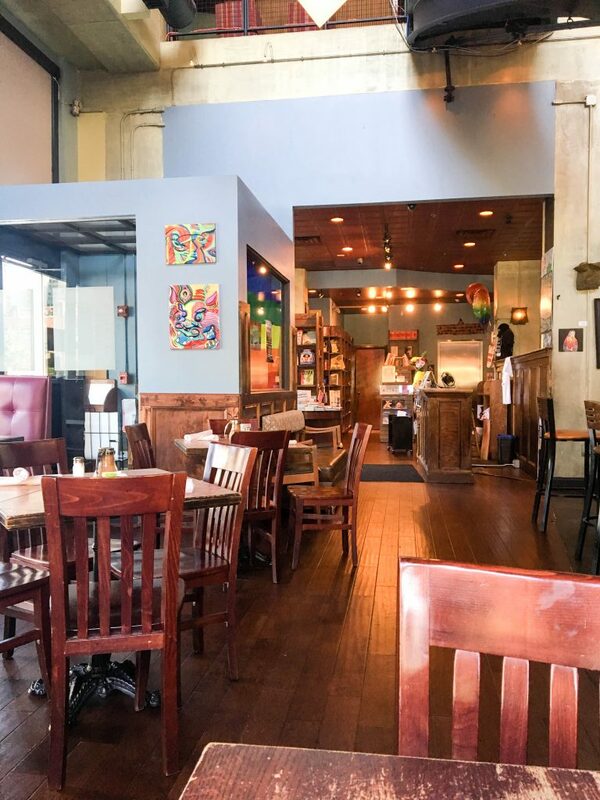 Busboys and Poets is a coffee bar/restaurant/bookstore/event venue combination that’s perfect for satisfying a variety of interests. 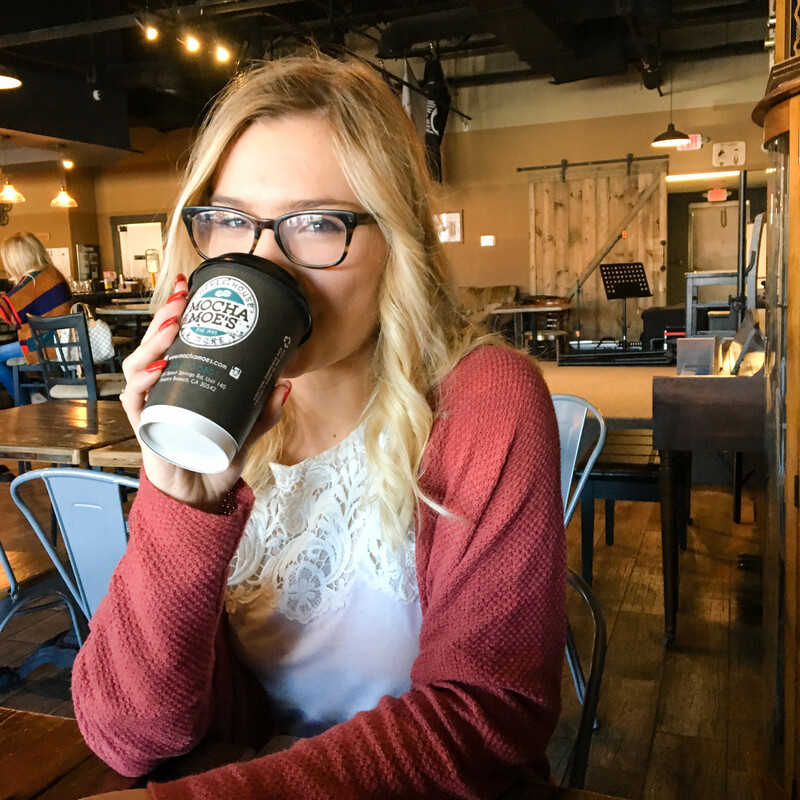 They host a ton of interesting events – particularly slam poetry, as you’d expect based on the name – and have a great menu of food and drinks. I’ve actually only been for breakfast, but I’m definitely hoping to make it over there for lunch or dinner at least once before I leave. Restaurant and bookshop portions featured, coffee bar and event venue not shown. 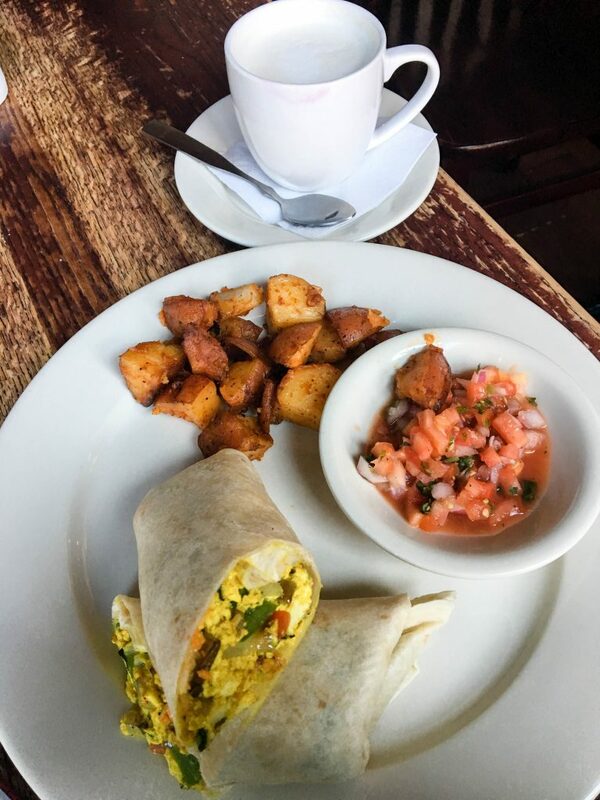 This cute place is nestled up on H Street and is actually a spin-off of Sticky Fingers, which is also mentioned later in this post. 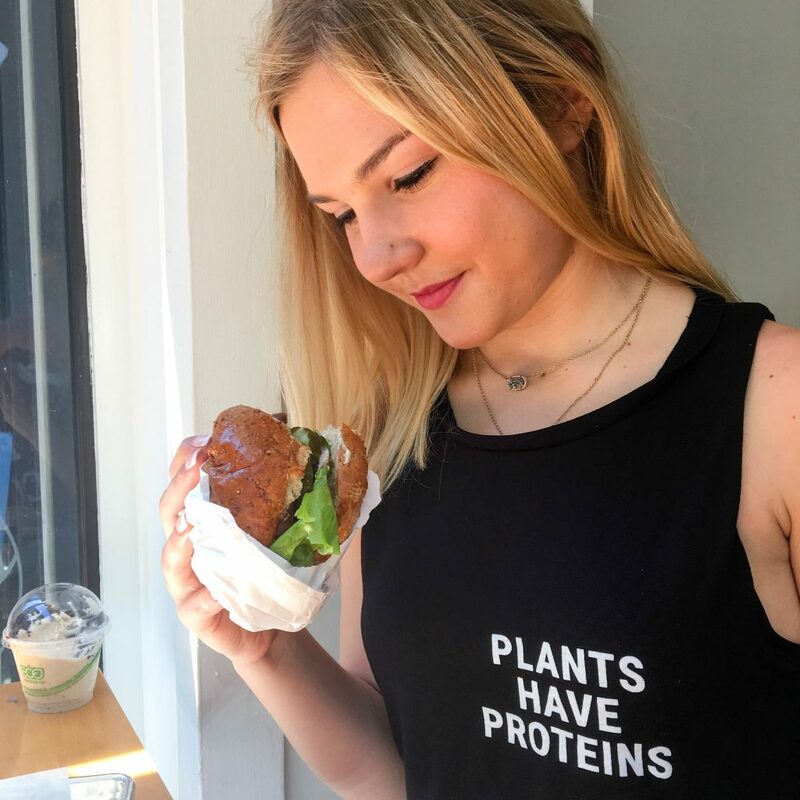 They’ve got a ton of really awesome vegan options – I ordered the barbecue seitan sandwich, which was phenomenal (I’m a huge fan of anything barbecue, if we’re being honest). They’ve also got a sweet collection of vegan desserts, and I couldn’t resist. 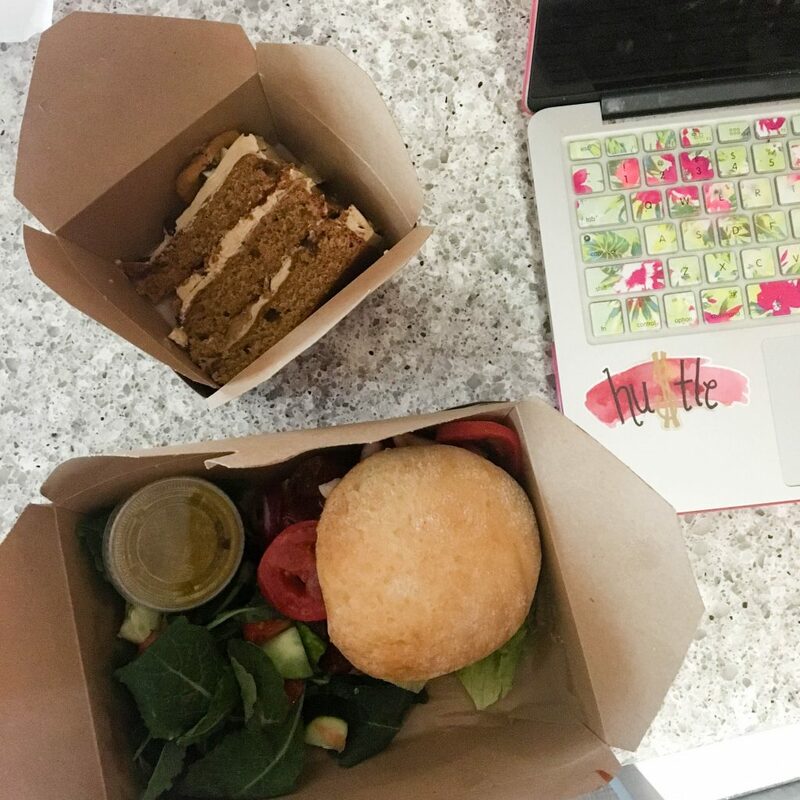 I got a salad instead of fries as my side so I could feel justified in ordering a slice of chocolate chip cookie dough cake (yes, you read that right). 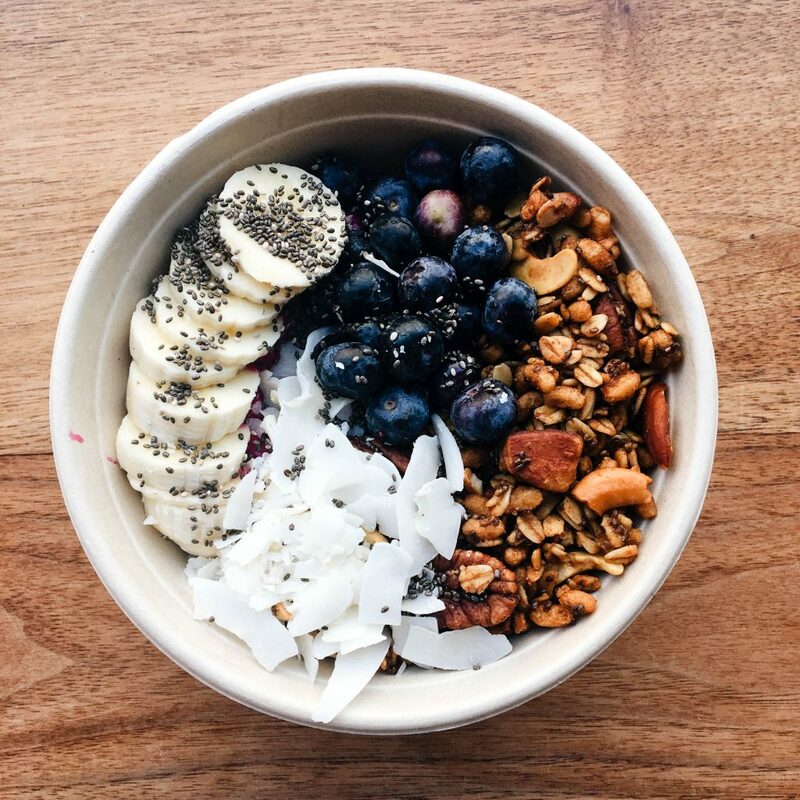 My go-to for acai bowls. 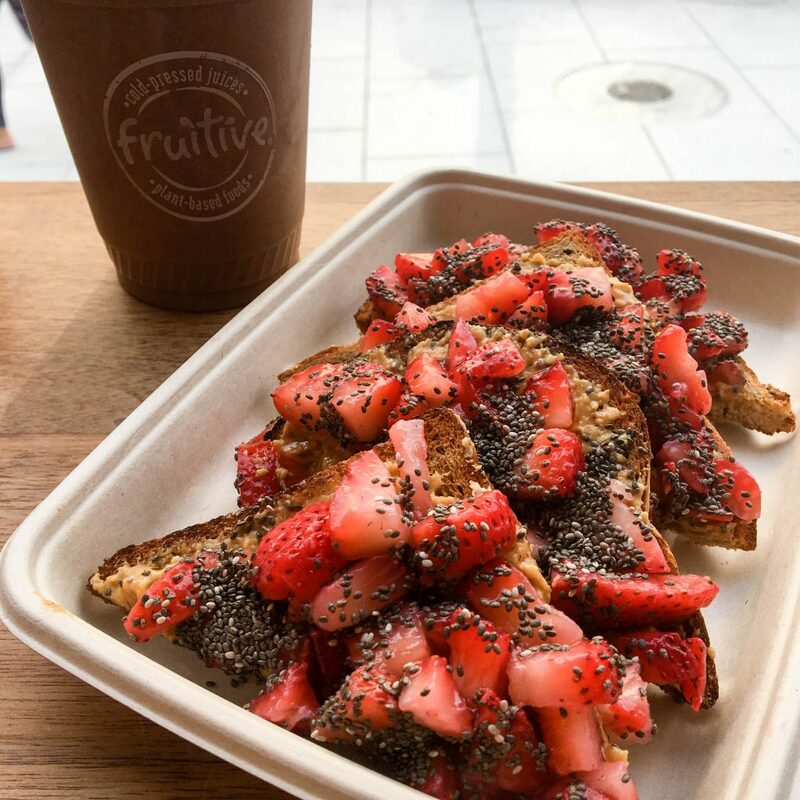 They’ve got a ton of bowls, as well as smoothies, toasts, salads, and juices. Everything’s organic too, so while that’ll definitely be apparent in your price tag, it’s also cool to know that you’re getting really good ingredients. This place is right around the corner from my office, which is so tempting in the best/worst way. I actually didn’t find this place on my own: one of my professors recommended it to me and described it as “vegan comfort food.” I’d 100% agree with that assessment – they have a crispy “chicken” sandwich that’s basically everything I miss about eating meat, and they have both banana nice cream (which I always order topped with brownies) and a variety of milkshakes. I took my parents here when they visited and my dad genuinely thought his wrap had chicken in it until I told him it was a soy substitute. They’re that good. 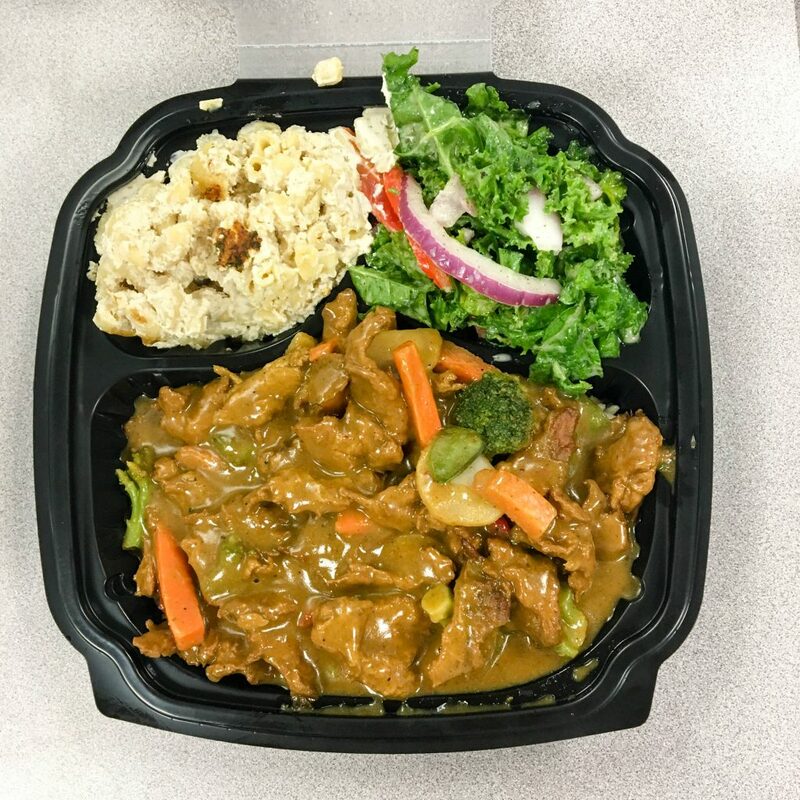 If HipCityVeg can be described as vegan comfort food, then NuVegan Café is “vegan soul food.” They have everything from mac and cheese to wings to collard greens. Basically, the epitome of Southern food, done vegan style. They have a restaurant somewhere up in Northeast DC, but their food truck makes appearances much closer to downtown. It’s my favorite place to grab lunch during the week. Also, Kanye West went here one time, so you know it’s legit. This is not a picture of the cupcake, because for some reason taking a picture of the cupcake didn’t occur to me. Whoops. Vegan cupcakes. That’s really the most important thing you need to know about Sticky Fingers. Vegan cupcakes that won Cupcake Wars – that’s a major accomplishment. They also have a full meal menu as well, and I got a buffalo wrap that rocked my socks off. But yeah, the cupcakes are definitely the star of the show. This little place is up on 14th Street and U, which is prime location if you’re living up in northern DC or if you just want an excuse to make a Target run (the only Target in the District is right across the street). Have you been to any of these places? Did I miss one of your favorites? Let me know!